Via Durini collection by Nava Design is the result of the elegant and classic style of saffiano leather that mixes with a sophisticated and modern design. The clean and essential design and the square shapes recall a certain international taste, without giving up functionality, typical of Nava’s world, which is expressed in the internal organization, the adjustable straps and the retractable handles that guarantee excellent ease of use. 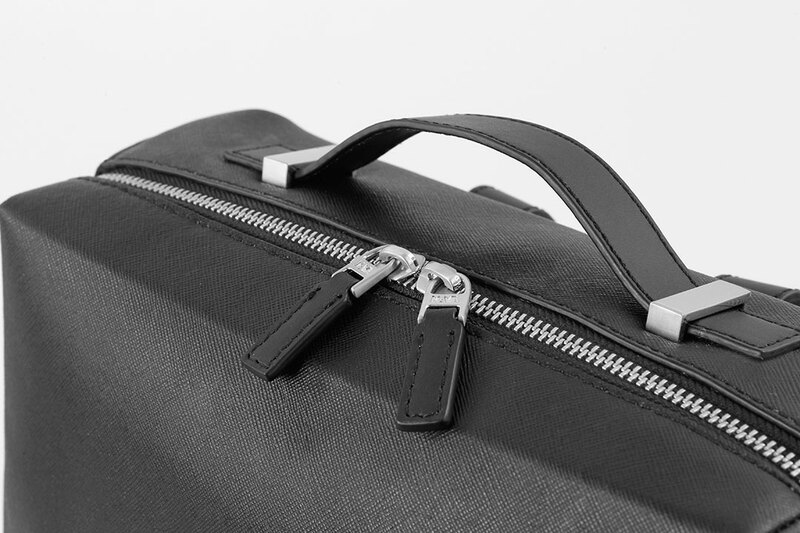 The “fil rouge” of the entire collection, complete with backpacks, bags and small leather goods, is the pleasant contrast between smooth leather and saffiano leather, further enriched by satin-finish metal details. Via Durini is aimed at a refined and demanding user who wants an original and classy total look. The range of colors of the collection, black, dark grey, caramel, rubin and off white, is in fact synonymous with discrete elegance, refinement and quality. 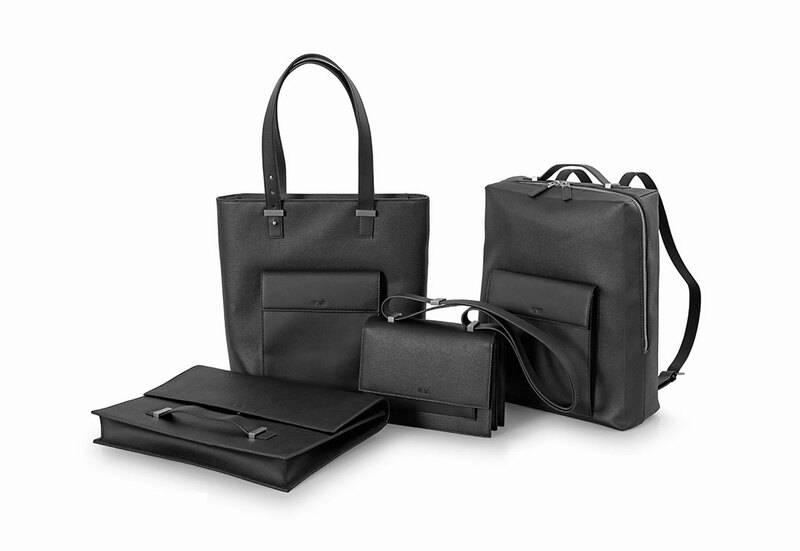 The collection offers so many different accessories designed to accompany you in your chaotic days in the city. 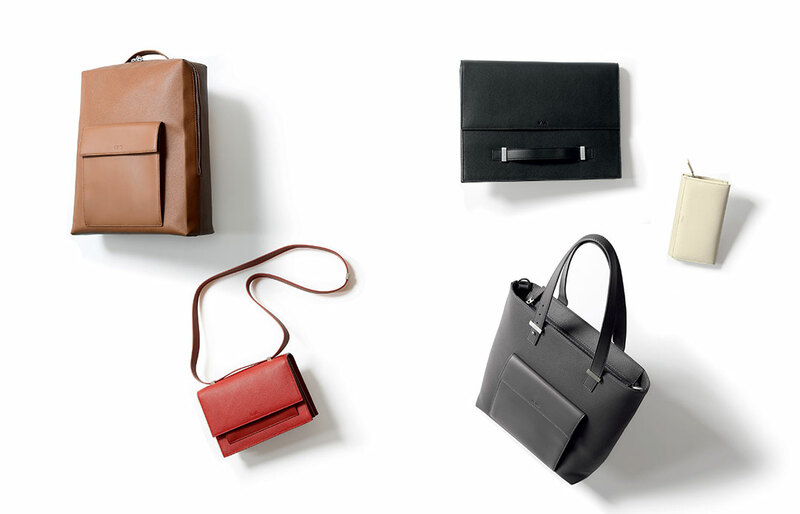 Backpack stands out for its square and essential lines. 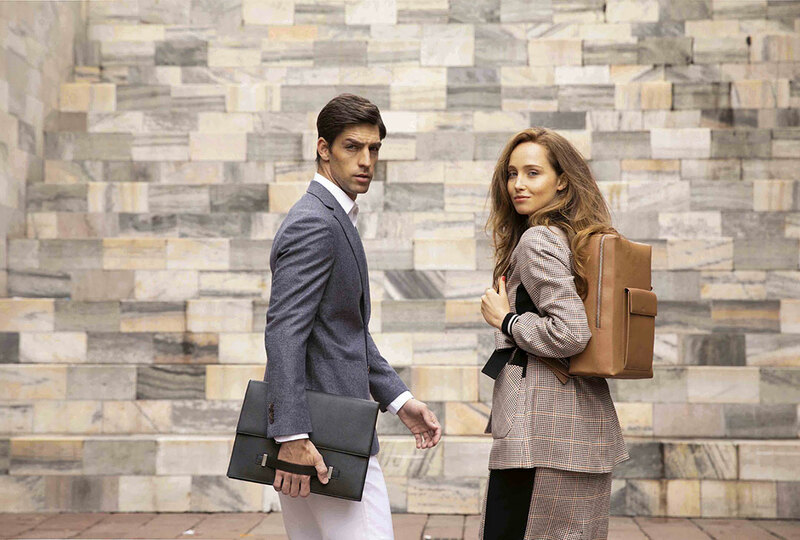 It features a compartment with padded pocket for tablet and office organization and is provided with front flap pocket and adjustable shoulder straps. Tote is the elegant everyday bag with padded pocket for tablet, office organization, front flap pocket and removable strap. 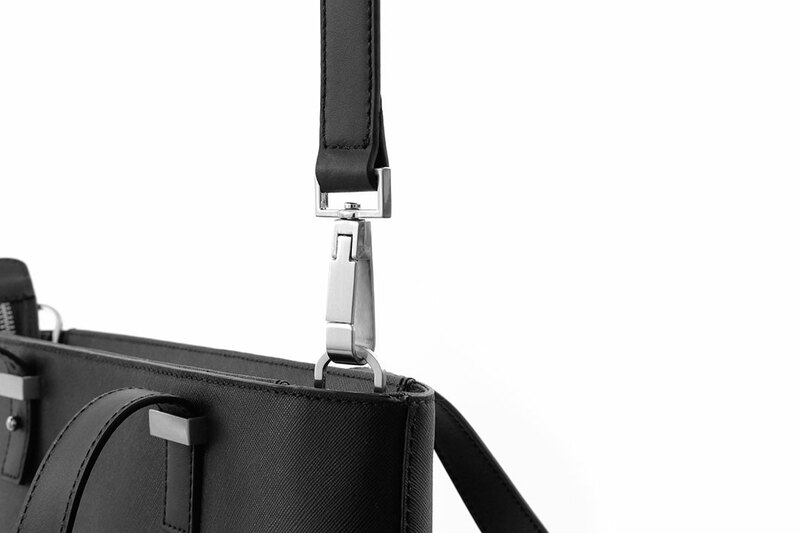 The handles of this bag adjust to the desired length thanks to a specially designed adjustment system. Clutch is the document holder with office organization equipped with an unusual and practical front handle that gives a touch of style to the person wearing it. Mini bag is the perfect accessory to accompany the classy woman all day, protecting her small personal belongings to be always organized even away from home. Mini bag features a front pocket, a central zip divider and an adjustable strap for shoulder or crossbody use. 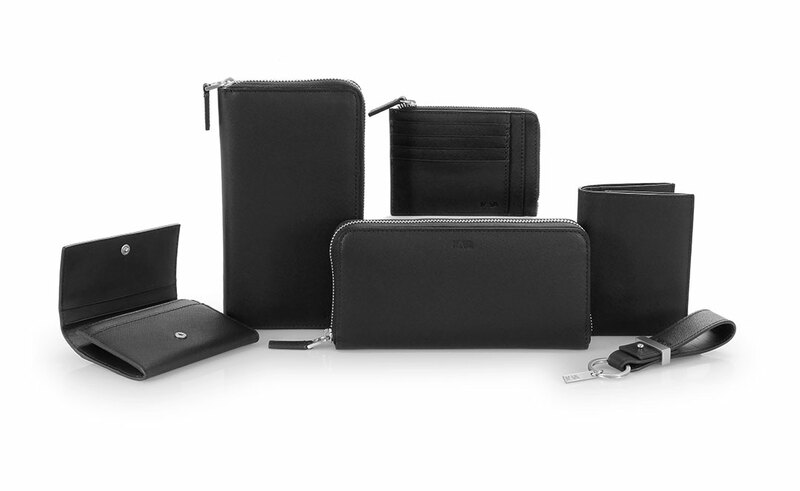 The line includes a wide range of accessories, which makes it impossible not to find the one that best meets your needs or aesthetic tastes: from the practical wallets for both men and women, to coin cases and travel wallets and many original key holders, business and credit card holders, all made of saffiano leather and smooth leather.